Weekly Fun Question for Regular Members! Remember, all replies in this thread are moderated so you will not see your post after you click submit! Please note that VIP Members are not eligible to participate in this exercise as a different problem is being presented on the VIP WFQ Forum for your entertainment, a special prize and "bragging rights." Specifics on the Weekly Fun Question (WFQ), to include information on awards and prizes for Winners, can be found on the thread below. When you submit your response, it will not usually be viewable until all responses are released at the end of the exercise. 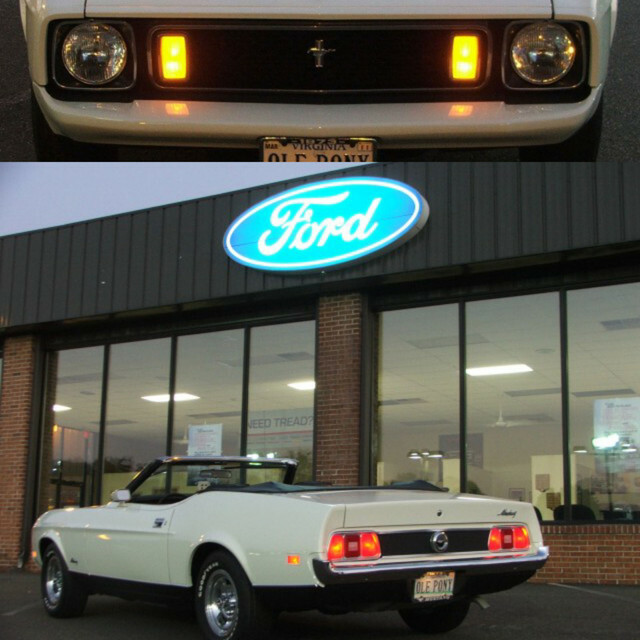 Which of the following is/are true as it relates to the placement of the external "Mach 1" Decals on 1971 - 1973 Mach 1s? This exercise will end at approximately 7:00 PM (CST) on Monday, March 24, 2013. "b. 1971 - Mach 1 Decals on front fenders and rear deck lid." The desired response is "b. 1971 - Mach 1 Decals on front fenders and rear deck lid." "A" and "C" are incorrect as they do not include the fact that the decal is also on the rear deck lid. "D" is incorrect because the Mach 1 decal for 1973 is not on the fenders but on the rear quarter panel in front of rear wheel. Based on the above, "Trevors" is the first to provide the correct response. Congratulations Trevors and you have obviously been "flying under the radar" since you have been a Member since 2011 and this is your first post ! When you get the time, please go on to the "Introduction" forum and tell us a bit about your '72! Looking for your Introduction Posting. Go here and post it up - toss a few pics on there too! Congrats on the win Trevor!